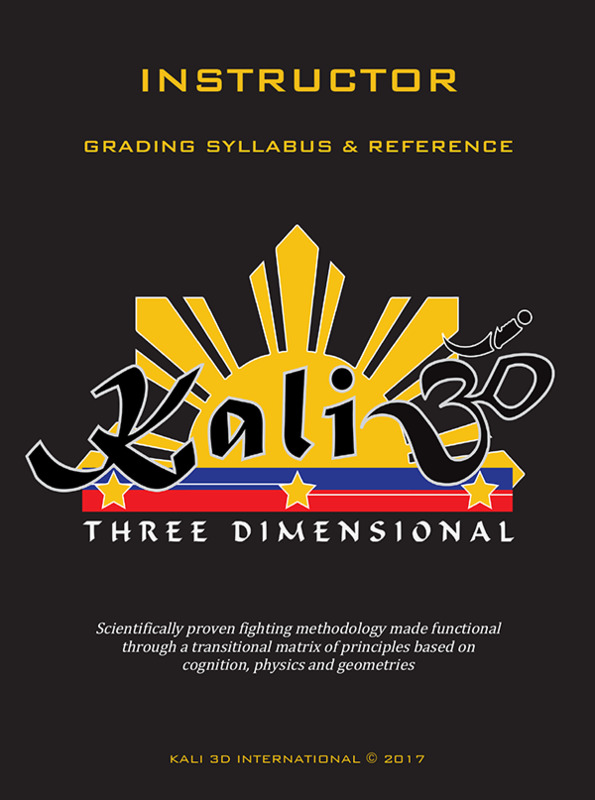 Kali Three Dimensional offers a scientifically proven fighting methodology made functional through a transitional matrix of principles based on cognition, physics and geometries. A Kali 3D reference guide and syllabus required for *Instructors to impart the necessary tactical skills to Students Level 1 through to 1st Dan Black Belt. *For expressions of interest in our intensive Instructor Program, please submit the form at the right of this page.